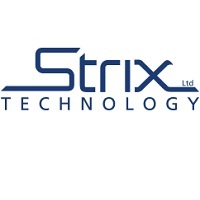 Strix Group Plc (LON: KETL), the AIM listed global leader in the design, manufacture and supply of kettle safety controls and other complementary water temperature management components, has today announced the launch of the Aqua Optima Water Filter Recycling Initiative in partnership with TerraCycle Inc. This initiative allows consumers of Aqua Optima filtration systems to recycle their products from home or at hundreds of TerraCycle collecting locations across the UK. These filters are repurposed into raw materials to be used in new products such as children’s playground equipment, cutlery and furniture. TerraCycle, Inc., is the world’s leader in the collection and repurposing of hard-to recycle post-consumer waste, ranging from used chip bags to coffee capsules to cigarette butts. The waste is collected through free, national, brand-funded recycling programs, as well as various consumer and government-funded models. The collected waste is reused, upcycled or recycled into a variety of affordable, sustainable consumer products and industrial applications. Each year, across 21 countries, TerraCycle collects and repurposes billions of pieces of waste, donating millions of dollars to schools and charities in the process.